Trade in your rifle for a shotgun, this week on The Revolution it’s fowl – we’re talking ducks and geese. Tune in as the experts’ key in on flyway hotspots and dish on calling, concealment, decoying and more. Plus, learn to navigate the changing behavior of birds as their habitats and food sources shift and they become conditioned to hunting pressure. Joining the Revolution will be Chad Belding, host of “The Fowl Life” on Outdoor Channel. We’ll also talk to Jared Hinton of Federal Premium Ammunition and John Gechter from Rainin’ Skies Waterfowl. Finally, Trey Benton, PRCA Professional Bull Rider will stop by as he prepares to ride in his 5th National Finals Rodeo. 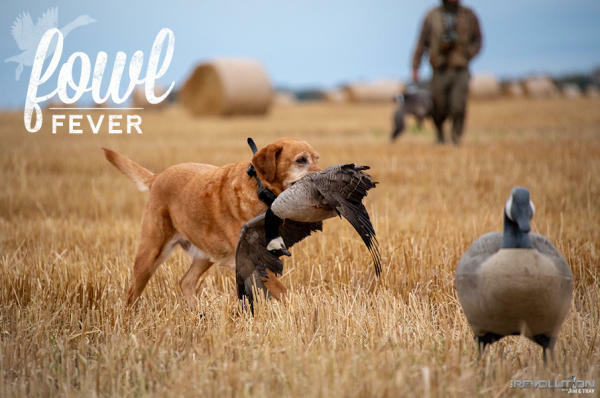 Jim and Trav’s Fowl Fever broadcast is presented by Outdoor Channel, Sportsman Channel, World Fishing Network and MyOutdoorTV! The 2018 Wrangler National Finals Rodeo (NFR) is almost here. Beginning December 6th in Las Vegas, Nevada cowboys, cowgirls and rodeo lovers will invade the city for the pinnacle of rodeo action. Competing in this high-profile showdown will be Trey Benton III, PRCA Professional Bull Rider from Rock Island, Texas. He's currently ranked #10 in the world, has racked up over $1-million in earnings throughout his nine years as a professional and this year will be his 5th riding in the NFR. Trey joins us this week for a fun and interesting look into his high-stakes career. He’ll also highlight Ranch Hand Truck Accessories and how the tough and rugged grille guards, bumpers and running steps are something he relies on how both he and the Ranch Hand products are “Built To Take a Hit”.